When an idea hits me, I want to drop everything else and work on it. However, if I did that, I'm pretty sure that none of my books would ever be finished. I have found my WriteMind Planner (link to review) to be extremely helpful to help me capture ideas quickly so I can get back to the work at hand. 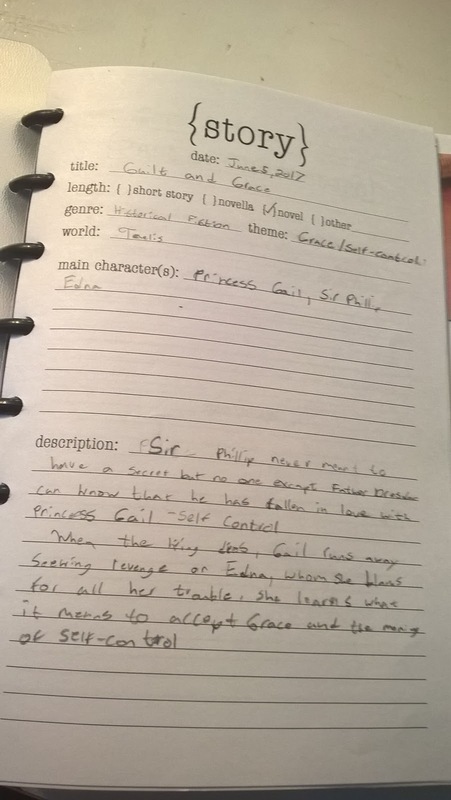 When inspiration struck for G&G I was able to jot down the idea on one of the story sheets. It was helpful to be able just to fill in the blanks. I started compiling a character list, as I planned to bring in some of the characters from some of the previous stories. 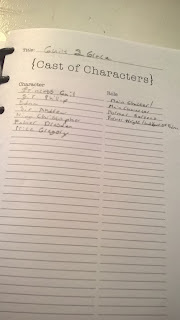 I am now filling out character sheets as further inspiration hits. 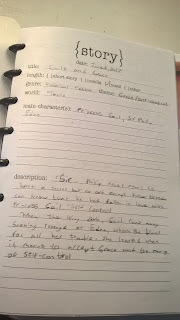 And when I get ideas about pivotal scenes, I am also able to jot them down. 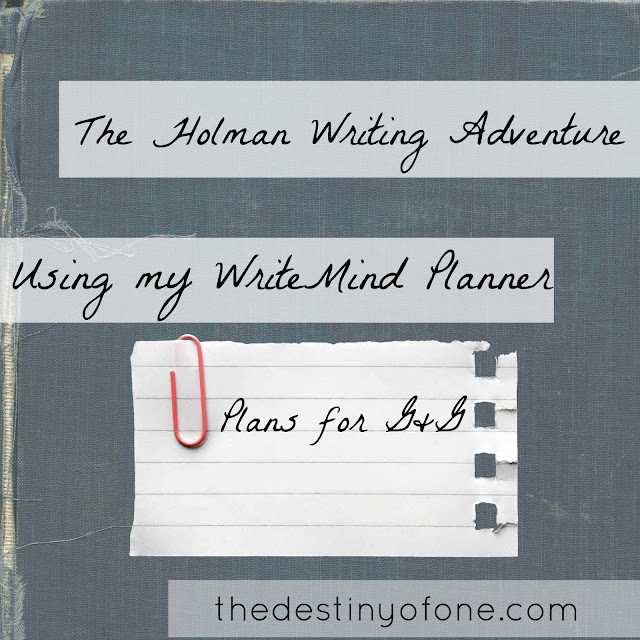 Used to, I would make notes on random pieces of paper or a document. This notebook is making my notes far more organized.